Almost half of Americans and Europeans don’t think owning their own home will ever be realistic. However, with the right rent to own contract, you can do the seemingly impossible: put home ownership in reach. 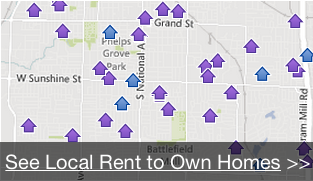 Rent to own helps bridge the gap between renting and homeownership. However, it works differently from both renting and outright buying. Before you take the next steps with a rent to own contract, you should understand the details. In this guide, we’ll show you how to read your rent to own lease agreement and fully understand it. Keep reading to get one step closer to a home of your own! What’s in a Rent to Own Contract? In a rent to own contract, you have a lease agreement, just like you would as a regular renter. But you’ll also have an option to purchase, which might be folded into the lease agreement or presented as its own document. At first, you’ll lease the property just like normal, with the landlord holding the property title. This lease agreement will probably look very familiar. It will cover things like your rent amount and due dates, the length of the lease period, and maintenance expectations. But you’ll also have the option to purchase agreement. This gives you the option to purchase the property you’re leasing by paying an up-front fee, or by paying more in rent so that some of the money goes to the purchase price. Is a rent to own lease agreement right for you? Here are some of the questions people often have before signing a rent to own contract. Can the Landlord Sell to Someone Else? Once you have a rent to own contract, your landlord is legally obligated to sell you the home. Landlords can’t pull the rug out from under you by selling to someone else when you already have a contract. However, although the landlord is legally obligated to sell to you, you usually won’t be legally obligated to buy the home. If you can’t get a home loan, or decide you don’t want the home, you can walk away. There are strong incentives not to walk away. If you do, you’re giving up all the money that you paid for the option to buy. You can’t get that money back. You will want to read your contract carefully to make sure it has the word “option” in it. 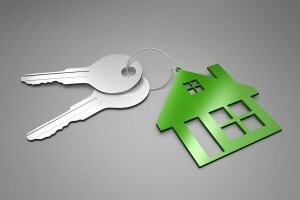 Lease purchase agreements are similar to rent to own contracts, but these obligate you to make the purchase. If you walk away from this kind of contract, you could get sued. What Will My Purchase Price Be? The housing market changes all the time. How will you know what your purchase price will be before signing the contract? When you enter the agreement with your landlord, you’ll usually also agree to the purchase price for the home. This can benefit you. If the house’s value goes up on the market, you won’t have to pay more. However, if the market goes down, you won’t benefit from the downturn. A few contracts include a house appraisal before purchase, allowing for price changes. If your contract looks like this, you’ll agree to pay part or all of the appraised value, instead of an agreed-on price. How Long Do I Have to Buy the House? These contracts always come with a time limit. You can’t keep your rent to own contract going forever. If you decide not to buy, the landlord needs the option to sell to someone else at some point. You and the landlord will agree on a reasonable time limit for purchase. Typically, this timespan won’t be any longer than three years. If the lease is over and you don’t choose to buy the house, your landlord can sell to someone else instead. How High Are the Fees? You’ll usually pay an up-front fee for “option consideration,” plus an additional fee added to your rent that goes toward your down payment. The exact amounts of these fees will vary, though. Typically, the option consideration fee is a percentage of the purchase price for the home. This fee may or may not get applied to your home’s closing costs, depending on your agreement. The monthly option money added to your rent will get saved towards your down payment. However, if you decide not to buy the home, you give up both the option consideration money and the monthly option money. You won’t be able to use it for any future home purchases. Now, let’s take a look at the tenant’s responsibilities in a rent to own contract. For the most part, these are the same as in any rental agreement. You’ll need to pay your rent and any other fees on time each month. You’ll also need to meet any other lease obligations, just like a normal renter. This might include following pet and visitor policies, and not violating any other terms of the lease. 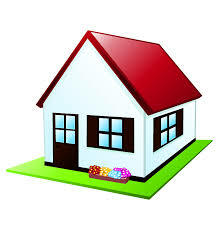 If you do violate the terms, the whole contract becomes void and you can no longer purchase the home. However, one difference is that you’re usually held responsible for making the repairs to your home. In most rental agreements, this is the landlord’s job. But since this will someday be your home, you’ll take the responsibility for fixing it. You may not be required to have a home appraisal. Still, it’s a good idea to get one before you sign your rent to own contract. This helps ensure that the price you agree to pay is a fair one. It will also show you if you’ll need to pay for major repairs. Is a Rent to Own Contract Right for You? Buying a home in the traditional way has become more difficult for many people in recent years. A rent to own contract is a great way to go from renter to homeowner with less hassle. People from all walks of life, in all situations, have found success with a rent to own contract. If you’re ready to get started on the path to home ownership in Utah, check out our rent to own homes available here!